Technology has evolved over the last 20 years and antibody production by animal friendly methods has grown to a level of scientific sophistication that outweighs obsolescent animal immunization protocols, providing similar or higher levels of information than the animal-derived product and which now justifies their replacement in accordance with Directive 2010/63/EU. This includes the generation of polyclonal antibodies in animal serum, the production of hybridomas from animal spleen cells fused to myeloma cells and the subsequent amplification of monoclonal antibodies by the ascites or tissue culture supernatant methods, or the use of hyperimmunized animals for the production of recombinant antibodies. Despite the irrefutable maturation and availability of animal friendly affinity reagents (AFAs), animal immunization is still authorized for antibody production. Remarkably, replacement opportunities have been overlooked, despite the enormous potential reduction in animal use. Directive 2010/63/EU requires that animals are not used where alternatives exist but is not being enforced. An enormous number of antibodies are produced nationally, in Europe and internationally, requiring an undetermined number of animals. 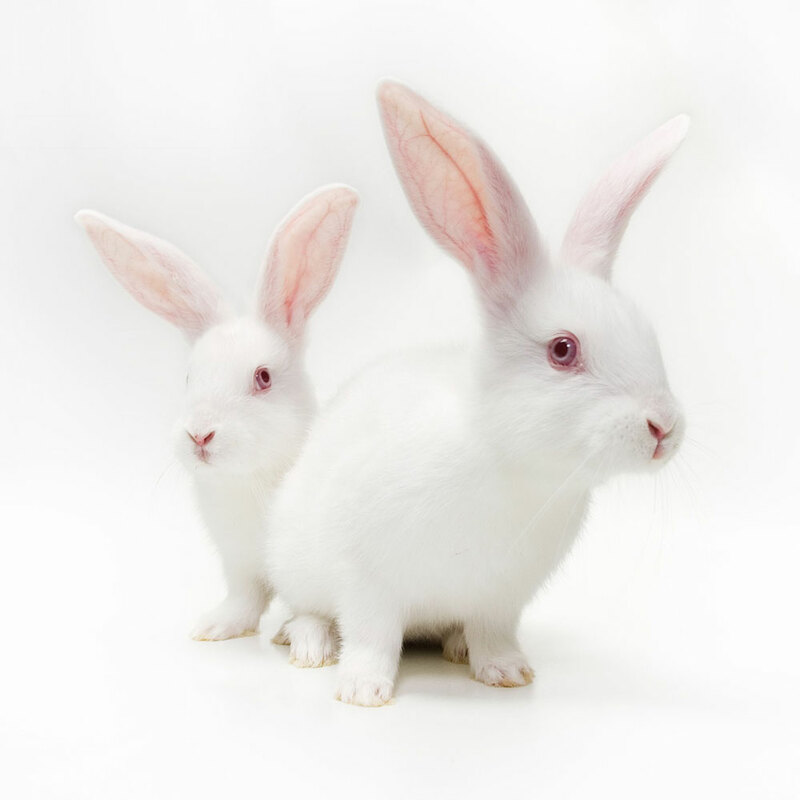 A typical immunisation protocol for polyclonal antibody production requires two immune-compromised animals (rabbits, guinea pig, rat, mouse or larger animals). Monoclonal antibody production will use between 5 and 10 animals. Initial injection and subsequent booster injections (usually 3) are subcutaneous at multiple sites, combining the antigen of interest in emulsion with an adjuvant (Complete or Incomplete Freund's Adjuvant) to boost the immune response. Animals also undergo test bleeds and final exsanguination. The injected antigen may be toxic, pathogenic, carcinogenic or non-toxic. The reaction of the animal to the injection emulsion is case specific and depends upon the adjuvant / antigen combination and the nature of the antigen itself. 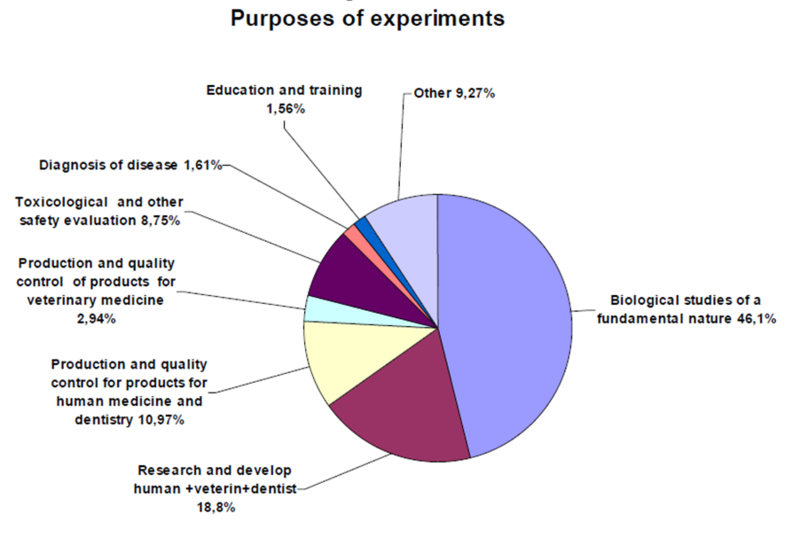 The total number of animals used to produce antibodies published in the EU statistics on the number of animals used for experimental and other scientific purposes, 2011, is unknown. Animal procedures for antibody production are immersed into 3 different categories, that includes all animal procedures for ‘production and quality control of products and devices for human/ veterinary medicine and dentistry’ (categories 2.4 and 2.5) and ‘other’ (category 2.9). While the combined total number of animals used in these 3 categories is 2.7 million, or 23.18%, of total animal use, it is not possible to determine what proportion of this animal use is attributed to the production of antibodies alone. Only two member state countries have published this information in their own national statistics, but since 2013, no longer do so. However, this is only a small piece of the jigsaw. 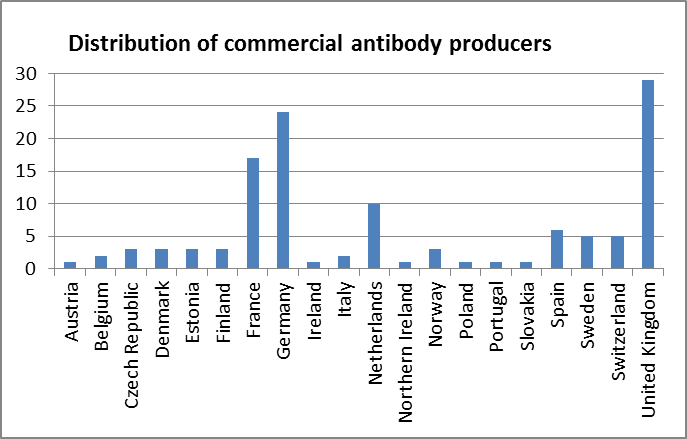 Many European companies collaborate with other antibody producers internationally and antibodies are subsequently imported and exported. This makes it difficult to determine an accurate number of animals used in Europe. The number of animals used to produce each antibody depends on the species selected and the requirement for polyclonal or monoclonal antibodies and also depends on the success of the immunization/ amplification protocol. A minimum of 2 rabbits / Guinea pigs or 5-10 rats / mice are commonly used per polyclonal protocol. Often, larger animals are used. Larger numbers of animals are required if the desired antibody is expected to distinguish closely related isoforms within or across species or other subtle changes, i.e., phosphorylated versus nonphosphorylated. Approximately 5 mice are immunized per hybridoma protocol, for the production of monoclonals. If the monoclonal is propagated in the ascites, a mouse will generate 1-3mg antibody (figures derived from personal communication). Therefore the number of animals used is dependent on the quantity of antibody required and varies considerably. For custom made services, the number could be quite small whereas the numbers for immunoassay based in vitro diagnostic kits is likely to be large. There are approximately 123 EU companies offering ~714,000 catalogue antibodies produced either in-house or through international collaborations and an estimated 2.6 million antibodies worldwide, each requiring a minimum of 2-5 animals each. Many antibodies never make it to market. A further undetermined number of antibodies are generated through custom-made production by companies and research institutes. Demand for antibodies is set to increase since the number of antibodies that could be generated in the future, including variants, in all different immunoassays, appears to be limitless. It is not uncommon to see hundreds of antibodies generated for the same target. Larger numbers of animals are required to increase the chances of success if the desired antibody is expected to distinguish closely related isoforms within or across species or other subtle changes, i.e., phosphorylated versus non-phosphorylated targets. Each member state is required to publish non-technical summaries of authorised scientific procedures. Here, it is possible to find information about some of the projects authorised for antibody production (native languages only). Rather than being manufactured to 'look' or 'act' like antibodies, antibodies produced by phage display are the genuine article. Antibodies produced by naïve phage display adopt the same biological mechanisms that are employed by the in vivo adaptive immune system and that are also commercially exploited to produce animal derived antibodies. They are thus functionally and structurally indistinguishable from those produced in vivo and support the requirement within Directive 2010/63/EU for a non-animal alternative to provide the same or higher level of information as the animal procedure. 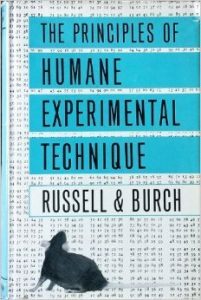 The 3Rs are the guiding principles underpinning the humane use of animals in scientific research and are embedded in national and international legislation regulating the use of animals in scientific procedures, where: Replacement defines alternative methods that avoid or replace the use of animals; Reduction defines experimental design approaches that minimise the number of animals used per experiment and Refinement focuses on the breeding, accommodation, care and use of animals in procedures and that minimise any pain, suffering, distress or lasting harm. Procedure, according to directive 2010/63/EU, defines ‘any use, invasive or non-invasive, of an animal for experimental or other scientific purposes, with known or unknown outcome, or educational purposes, which may cause the animal a level of pain, suffering, distress or lasting harm equivalent to, or higher than, that caused by the introduction of a needle in accordance with good veterinary practice’. Directive 2010/63/EU legislates on the protection of animals used for scientific purposes, supporting the 3Rs: replacement, reduction and refinement, in strict hierarchy. The Directive seeks to facilitate and promote the advancement of non-animal alternative approaches, namely, techniques that could provide the same or higher levels of information as those obtained in animal procedures. Regarding the 3Rs principle of replacement (article 4) and choice of method (article 13), the Directive asserts that ‘wherever possible, a scientifically satisfactory method or testing strategy, not entailing the use of live animals, shall be used instead of a procedure’ and that an animal procedure should not be ‘carried out if another method or testing strategy for obtaining the result sought, not entailing the use of a live animal, is recognised under the legislation of the Union’. 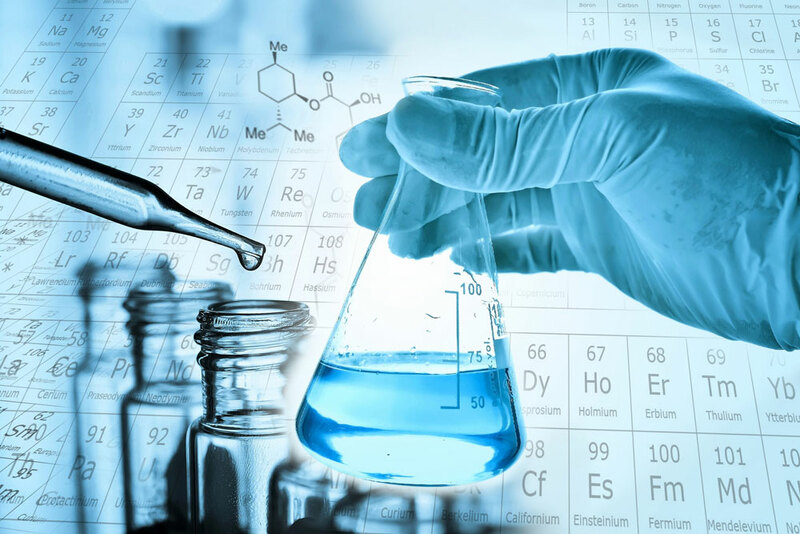 The Directive requires that competent authorities, appointed in each Member State, evaluate and authorize projects, including generic projects, when carried out using established methods for testing, diagnostics or production, such as the large scale commercial production of antibodies. Recognizing the rapid advancement of technical and scientific proficiency and with ‘the purpose of examining the possible replacement of the use of animals… as a matter of priority where it is possible’, the Directive stipulates that ‘periodic thematic reviews concerning the replacement, reduction and refinement of the use of animals in procedures’ should be conducted. AFABILITY is engaged in discussion with ECVAM with a view to forming a strategy for the replacement of animal derived antibody production methods. Measures to improve animal welfare standards by reducing or refining animal derived antibody production methods were initiated in 1998 following the publication of a statement by the ECVAM scientific advisory committee (ESAC). It was recommended that, following the immunization protocol, the propagation of monoclonal antibodies in the ascites of the abdominal cavity was no longer scientifically necessary. Accordingly, competent authorities in the European Member States should now, no longer authorize project license applications proposing antibody propagation by this method. However, it is still easily possible: for companies to freely collaborate with partners outside of the EU to have antibodies produced by the ascites method; to import products such as diagnostic kits that contain antibodies produced by the ascites method; or to import catalogue or customised antibodies produced by the ascites method. Remarkably, the conclusions and recommendations of two reports: ECVAM workshop report 23 on Monoclonal Antibody Production and ECVAM workshop report 35 on the Production of Polyclonal Antibodies, that has been distributed to all EU competent authorities, both highlighted the advancement of novel recombinant DNA-based technologies and direct cloning into plasmids, and envisaged that ‘in the near future’, phage display as an advanced technology capable of producing binders ‘without prior immunisation of B-cell donors (would) avoid the need to use living animals’. However, 20 years on, animal derived antibodies are still heavily relied upon.